If you work in the construction industry in California you’re likely familiar with mechanics liens. But there’s one other type of lien available on construction projects in California: The design professional lien. So, here’s a blueprint of what you need to know. What is a design professional lien? A design professional lien, like a mechanics lien, creates a security interest in real property for services rendered by a design professional prior to commencement of construction. If the design professional is not paid, the design professional can file a lawsuit to foreclose on the design professional lien to have the property sold and the proceeds from the sale used to satisfy the amount of the design professional lien. Analogy: A design professional lien is like the deed of trust recorded on your home to ensure you pay your mortgage. If you fail to pay your mortgage, the bank can foreclose on the deed of trust to have your house sold, and the proceeds from the sale used to satisfy the amount outstanding on your mortgage. But, with one big difference. While a deed of trust can only be recorded if the homeowner agrees to it, a design professional lien can be recorded without the consent of the property owner, which makes it a powerful payment remedy for design professionals. On what types of projects can a design professional lien be recorded? Who can record a mechanics lien? “Design professionals,” define as licensed architects, licensed landscape architects, registered professional engineers and licensed land surveyors who provide services pursuant to a written contract with a property owner for the design, engineering, or planning of a work of improvement. Does a design professional, like certain mechanics lien claimants, have to serve a preliminary notice in order to record a design professional lien? Written Contract with Property Owner: The design professional must have provided services pursuant to a written contract with the property owner. 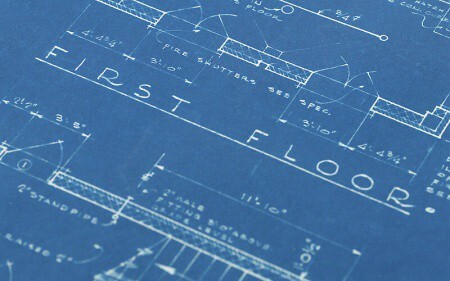 Building Permit or Other Governmental Approval: A building permit or other governmental approval in furtherance of the work of improvement must have been obtained in connection with or utilizing the services of the design professional. Construction Not Yet Commenced: Construction of the work of improvement must not have commenced. Payment Default by Property Owner: The property owner must have defaulted on payment under the contract. Notice to Property Owner of Default: Not less than 10 days before recording a design professional lien, the design professional must give the property owner notice demanding payment, stating that a default has occurred under the written contract, and the amount of the default. Single-Family, Owner-Occupied Residences: A design professional lien is unavailable for services provided for a single-family, owner-occupied residence in which the expected construction costs are less than $100,000. Is there a deadline to record a design professional lien? Yes, once construction has commenced a design professional may not record a design professional lien and any design professional lien previously recorded but not foreclosed on by filing a lawsuit becomes null and void. In addition, a design professional is required to record a design professional lien no later than 90 days after the design professional knows or has reason to know that a work of improvement will not be commenced. Note: California Civil Code section 8306(b)(1) actually states that a design professional lien “expires and is null and void and of no further force or effect on the occurrence of . . . [t]he commencement of the work of improvement for which the design professional provided services.” “Commencement of the work of improvement” is not defined and, as such, disputes can arise as to when “commencement” occurred. How early can I record a design professional lien? At any time following: (1) the property owner’s default on payment under the contract; and (2) the 10-day minimum required notice by the design professional. What information is required to be included in a design professional lien? Identification of the building permit or other governmental approval for the work of improvement. Are there restrictions on the amount I can demand in a design professional lien? Yes, the amount demanded in a design professional lien must be the lesser of: (1) the amount of the design professional’s fee for services provided under the contract less any deposit or prior payment made under the contract; and (2) the reasonable value of those services. Where and how do you record a design professional lien? A design professional lien should be recorded in the county recorder’s office of the county where the project is located. The recording fee for recording a mechanics lien varies in each county recorder’s office but is usually between $25.00 and $40.00. You should bring in the original (with your originally-signed signature) and I suggest bringing three copies to get file-endorsed for your records. Do you need to do anything after you record a design professional lien? Yes, two things. First, you must file a lawsuit to foreclose on the design professional lien within 90 days after the design professional lien is recorded. You must also record a notice of pendency of action within 20 days after filing a lawsuit. Second, if a lawsuit to foreclose on a design professional lien is not brought to trial within two years after the lawsuit is filed the court may in its discretion dismiss the action for want of prosecution. Note: You can extend the deadline to foreclose on a design professional lien if you enter into a notice of extension of credit with the owner. In that event, a design professional must file a lawsuit to foreclose on the design professional lien within 90 daysafter the expiration of the notice of credit but in no case later than one year after completion of the work of improvement. What happens if the property owner sells the property before the design professional records a design professional lien? Unfortunately, you can only record a design professional lien if the property owner in which you have a written contract with is the owner of the project site at the time a design professional lien is recorded. However, you would still have other remedies available to you such as a breach of contract claim. What happens if construction commences either before a design professional lien is recorded, or after a design professional lien is recorded but before a lawsuit to foreclose on the design professional lien is filed? As discussed above, once construction has commenced a design professional may not record a design professional lien and any design professional lien previously recorded but not foreclosed on by filing a lawsuit becomes null and void. If that occurs, a design professional has two options depending on the circumstances. Option 1: If construction commences before a design professional has recorded a design professional lien, the design professional can record a mechanics lien instead. (1) Within 30 days after commencement of the work of improvement, the design professional records a mechanics lien for the unpaid amount of the design professional lien. Note: You cannot resurrect a “stale” design professional lien if construction commences after the 90-day deadline to file a lawsuit to foreclose on a design professional lien. For example, if you recorded a design professional lien on January 1, 2015, you would have 90 days or through April 1, 2015 to file a lawsuit to foreclose on the mechanics lien. If, by April 2, 2015, you had not filed a lawsuit to foreclose on the design professional lien your design professional lien would be considered “stale” and unenforceable. If, thereafter, construction commences on the project, you would not be able to resurrect your now “stale” design professional lien and record a mechanics lien instead. What if the property owner partially or fully pays off the design professional lien? If a property owner partially or fully pays off a design professional lien the design professional must sign and record a document evidencing partial or full satisfaction and release of the design professional lien. If you are the property owner is there anything you can do to release property from a mechanic’s lien? Yes, several things. First, if a lawsuit is not filed to foreclose on a design professional lien within 90 days after the design professional lien is recorded, 90 days after the expiration of a notice of credit, or 1 year after the project is completed, the design professional lien is considered “stale,” and you can file a petition with the court to have the design professional lien expunged. You can recover all reasonable attorneys fees incurred in expunging a “stale” design professional lien. Second, if a design professional lien is not “stale,” you can obtain a design professional lien release bond. A design professional release bond releases the design professional lien, and the design professional then has to make a claim against the release bond. A design professional lien release bond must be in an amount equal to 125% of the amount claimed in the design professional lien and premiums are typically 2-3% of the total bond amount. Third, you can negotiate a settlement with the design professional in exchange for the design professional recording a release of its design professional lien. Are attorneys fees recoverable in a lawsuit seeking to foreclose on a design professional lien? Does a subcontractor have to have a signed contract with a prime contractor when doing work for that prime? if s, does the subcontractor’s contract fall under the same guidelines as a general home improvement contract?